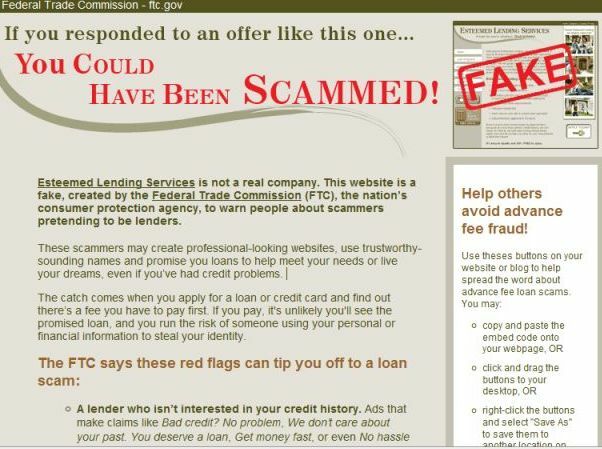 Be Your Own Detective: FTC Has a New Scam Site! 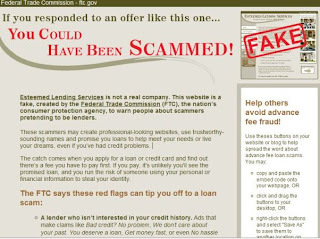 FTC Has a New Scam Site! Yes, I am not kidding! The FTC launched a program to make people aware of identity theft. 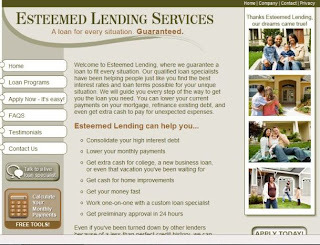 What it is called is Esteemed Lending Services. It looks like any other consolodate your loans site and it is very interesting. After you respond with some information you will be shown this page. It lets you know it is a scam. It is not a bad program, and I wonder how many people have fallen for the scam. Identity theft is a growing concern as there are more and more ways to steal your identity in what looks like a harmless fashion. No longer does a ID thief have to make a trash run or steal your wallet or purse. Just remember to be careful with this kind of information on the internet.